The Academy’s curriculum is based on the Montessori Method, which has proven successful for children who require specialized instruction in a nontraditional setting. Academic coursework is supplemented with arts education, physical training, life skills coaching, and religious instruction to develop the whole child. Our goal is to provide a supportive and nurturing educational environment that extends beyond the classroom. 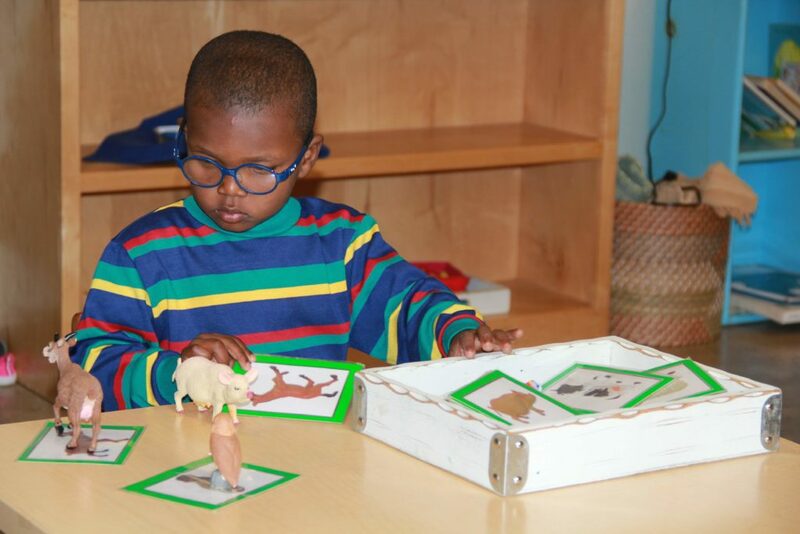 The Primary classroom uses Montessori materials in the areas of Sensorial, Practical Life, Mathematics, Language, and Geography. The focus is always on developing the “whole child” through hands-on learning experiences and work that fosters independence. Young children learn through movement, repetition, and social encounters that train them in processes that create success. Jubilee is centered on the Bible; students learn Scripture and God’s love for them as the foundation their lives and futures are built upon. By age 6, Jubilee students are able to care for themselves and their environment; use the decimal system and basic mathematical operations; identify continents, countries, and cultures around the world; and begin to write in cursive and read independently. Students are moved forward to the Elementary classroom based on readiness evident from scientific observations and records of work along with appropriate socialization skills. Teachers work closely with parents, who are required to participate in Practical Life activities and to observe in the classroom regularly. From discussions over the observation notes, parents and teachers build strategies to ensure progress for each child. 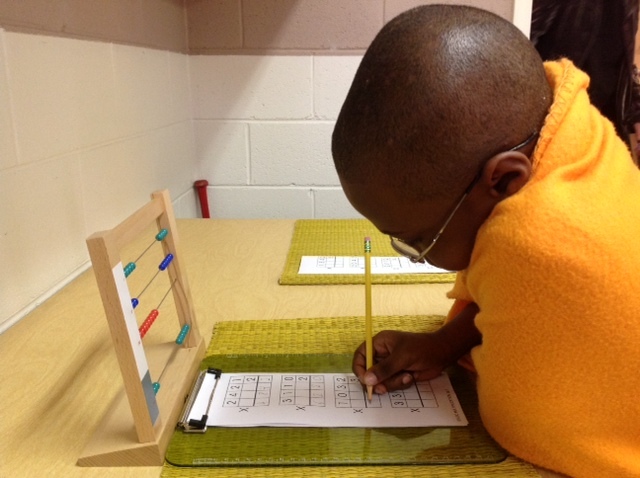 The Elementary classroom uses Montessori materials in the areas of Mathematics, Geography, Science, and Language. 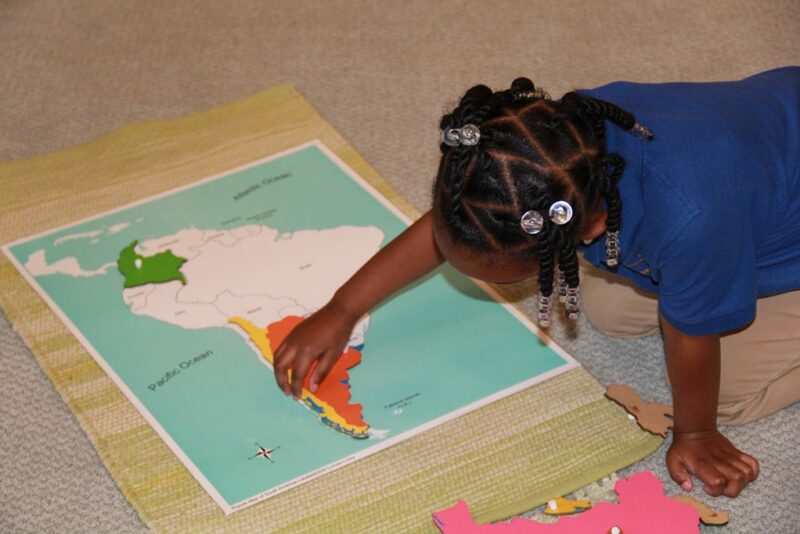 These students learn to identify and place all 50 states on a blank map and to replicate flags from individual countries on specific continents while learning facts about those countries and cultures. Math extends with the Golden Bead materials into Long Division, Geometry, and Advanced Multiplication in preparation for Algebra. Students manipulate materials and then translate the process into written work. Diagramming sentences and classifying parts of speech, journal writing, and research compose the Language curriculum for this age group. Hands-on science materials and outdoor gardening gives students the opportunity to investigate and question the world around them. 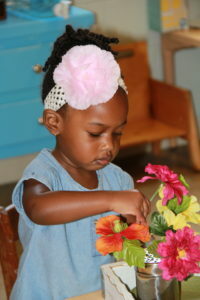 Caring for and benefiting from a garden has become a strong element of Jubilee’s curriculum for all ages. Experience has shown us that children older than this group can be difficult to “re-train,” particularly when the family support network is missing or runs counter to the values we are trying to instill at the Academy. Our success with children in the community is best when we get them into the program early and work with them and their parents along a continuum. We are targeting younger children for enrollment, even infants and toddlers, who will participate in the weekly program with their parents and grow into the Primary class at Jubilee with a firm relationship and sense of our high expectations. The Upper Elementary age students are challenged by independent learning experiences that require the use of their focus, research skills, and problem solving in all academic areas. They must progress to successfully organize their space and materials, to use self-discipline strategies, to complete extensive work cycles, and to accept responsibility for school-wide maintenance and chores. During these years, the students are placed into leadership roles as “huddle leaders” (Fellowship of Christian Athletes concept) for younger students and family groups. As “huddle leaders” they help to set up the dining room for lunch, serve, head a table, and clean up after lunch. They help younger ones during outdoor activities, arts and crafts, sports events, and gardening. During Parent and Family Events, they lead huddles/teams through intentional group building activities and learning experiences. We see maturity as it happens in the willingness of these “huddle leaders” to volunteer to serve others around the school and in the community. Bible study, character building strategies, art, music, and athletics, amidst strong, positive relationships, help to nurture the “seeds of promise” within each child.